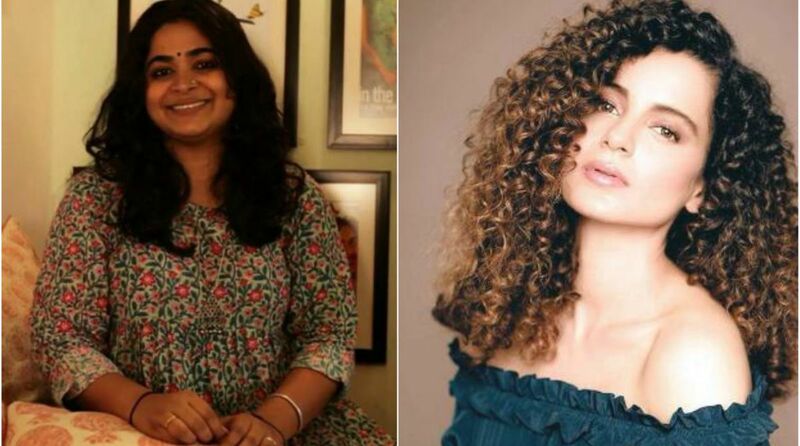 Nil Battey Sannata director Ashwiny Iyer Tiwari’s next film is Panga, which stars Kangana Ranaut as a national level kabaddi player. The actress says she was moved by the story. Tiwari on Tuesday tweeted about her next directorial, which also stars Punjabi singer-actor Jassi Gill and veteran actress Neena Gupta in a story about the importance of family. Taking the family concept ahead the makers decided to announce the title with the favourite family pictures of the primary cast and director. “My existing reality is a reflection of my dear ones belief in me. From the team backed by its families. Presenting ‘Panga’ with Kangana Ranaut, Jassi Gill, Neena Gupta. Produced by Fox Star Hindi. In cinemas in 2019,” she wrote. The film will be presented by Fox Star Hindi. It is being described by the makers as a story that reaffirms that a family who laughs, cries, dreams together and if they are by your side, nothing seems to be impossible to a willing heart. “My family has been my pillar of strength and have always stood by me in thick and thin. I could really relate to the emotions of the film. Plus, Ashwiny is known for her slice-of-life films and I loved her recent work Bareilly Ki Barfi. “‘Panga’ is doubly special for me as for the first time, I will play the role of a national level kabbadi player. That’s going to be challenging for sure! I am looking forward to some exciting times with Ashwiny and the Fox Star team,” she added. Jassi, who is gearing up for the release of his forthcoming Bollywood film “Happy Phirr Bhag Jayegi”, is also looking forward to be a part of Panga. Neena tweeted that she cannot wait to start shooting for the film.